OH MY!!! I can see where this is going!!! BREAKING NEWS!! Totally can see where this snapshot is going!!!! LOVE IT!!!!! I love this!!!! Can’t wait for the next peek! maybe it’s news about Gideon and Eva being back together? how do u read this? OH MY GOD!!!!!!!!!!!!!!!!!! I love this!!!! We can’t get this open. What does it say??? Breaking news!! Gideon is arrested?…hope not! I hope not, they closed the case because they didn’t have enough evidence against Gideon. Maybe his brother finally snapped? oohhh yeah that s a good one !! What if the detective only said that to Eva to proove that they actually are having a relationship together? Maybe they are watching gideons and evas steps until they find a reason to arrest him? how could they have gotten engaged in the first chapter when a lot of the snippets are about them sneaking around to see one another ? very intrigued . sylvia !! cant se nothing !! My guess. Somehow the press found out about what Gideon did to Eva’ former stepbrother and they are ready to reveal it. First…Gideon and Eva are back together at the end of the 2nd book. I think it their engagement. My dear, you have way too many fans…..if that’s even a possibility. Website overload. Too much traffic. I miss Gideon so much and now he’s dangling right in front of me and I cannot even view the snippet because others are crowding the coveted space! UGH!!!!! It’s a snap shot of a press release! That’s what you are looking at. Are we supposed to be able to see something? I can’t click on the picture, there doesnt seem to be a link attached to it…at least on my end! 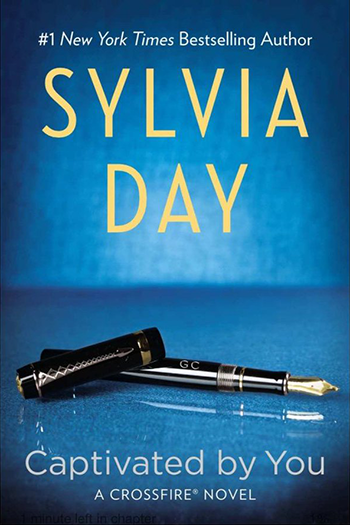 Ooo you tease Sylvia …. news of an engagement? a murder? an arrest? …..
I’m guessing it has something to do with Nathan’s murder investigation being closed because there are no leads. i dont see anything …..help…. i cant see anything apart from the press thing?! I love the idea of picture clues! Now I have to re-read the last book to try to figure them out. Well breaking news and something to sign? Can’t wait. I cannot see the snapshot, just the statement saying it is here, but the link doesn’t work. :'( it does not work…I can’t read NOTHING…boo hoo hoo…. Love it! Super Excited! June can not get here fast enough! i cant see anything the suspense is killing me!!! Ok, so the news of Nathan’ death and case being closed is hitting the papers?? I think it might be about the death of her brother . this is… worse then the teasing snippets! So many possibilities. Maybe they are back at the ocean house and doing the crossword on a quiet escape week-end! I love it but you’re killing me here Sylvia! Hmmmm….. I think I get it? are looking for something… maybe a place for cary or a concert venue. You know the old flame is coming back to play a role. Love it! Hmmm, trouble for our adorable couple? Or exciting news? I think trouble since it is the PRESS! Snippet to read is better! That’s exiting! I think it relates to a wedding announcement!! I cannot see anything either. This is a fantastic idea gets everyone guessing ok my turn….Announcement of a some kind of business deal. Wow….I get it!!!!! That’s awesome!!! Could it be about Brett’s interview regarding the Eva song? I think the newspaper tells us about the a wedding announcement and the ball pen about the the signatures of their wedding !! I think that in chapter one they are getting married ..in order to continue their future together. Or maybe it has something to do with Nathan’s murder/death. Carey’s attack??? I’m thinking it has something to do with her brothers death…. read all about it, intriguing…………..
Hadn’t even thought it could do with Brett. Good call. I don’t think it has anything to do with an engagement. I’m thinking something to do with Nathan’s murder. BREAKING NEWS: Gideon Cross is no longer a suspect in the killing of Nathan (?). Oh don’t even think that! hmm.. Newspaper, press, article, pen, signing, contract… I don’t think engagement, since the other sneak peeks are of them dating. This one is a tough one.. but I am thinking something along the lines of her brother’s death or some major agreement. Maybe the next clue will be not so tricky. Hmmmmmmm…..isn’t that a CROSS pen?? Sounds like a possible engagement announcement. The pen is used to sign their marriage license. I don’t know what is worse the 70 plus days we have to wait for this book, snippets, or now this..snapshot!! gee-sh my heart cant take much more of this!! Chapter 1… so it must be about the death of Nathan. Especially since the seals were broken on what he did to Eva! guy…….could have been her bachelorette party?? Press..Hmmm It could only means an announcement on the New York Time of the engagement of Eva Trammell and Gideon Cross…. I know, I know…Headline Mr. Cross is a suspect in a murder of Ex-girlfirend step-brother….OMG I can’t wait!! What if somebody spilled the beans about Gideon being molested as a child??? 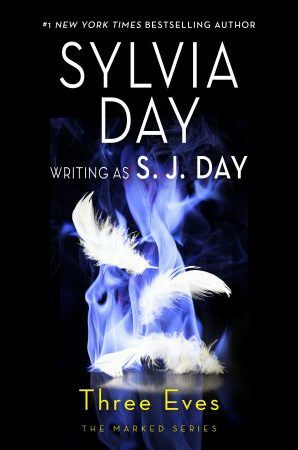 If Sylvia can release all these snippets and clues why not just release the book? Its just depressing now. This ‘publishing delay’ It’s just a way to get suckers like us to build up hype for the book! hey girls just realised myself this is a snapshot ie picture to give us a hint whats to come !! How do you read it? I do not see anything. Breaking news may be Nathans death or a engagement announcement? OMG OMG!!!!!! I think Gideon might have got caught!!!!!!! !NOOOOOOOOOOOOOOOOOO I ant live without my to be husband! Its a newspaper meaning news on the murder! I think the great Dr. Lucas has been exposed for his bad practice. Eva found out he had concealed information which was a crime. Eva threat has been eliminated and now it is time for Gideon to start healing. It’s just a way to get suckers like us to build up hype for the book! I don’t believe for a second that “she was delayed” in getting script to publishers or that people were unhappy about having to wait out the difference in dates between the paperback & eReader version……like I said its just to build hype! Think about it, now how many more people know about this book/series than they did before all of this started?!? P.S: Even if there was a delay in the release dates between novel & eReader, I’m sure people would wait a few days……..rather than months! Also, why can’t they STILL tell us wether or not this is going to be a trilogy…..or if there’s a 4th book to be released? Like I said……building hype!!!!!!!!!!!!!!!! Annoying for the loyal readers who have supported the author from the beginning of her writing career, how about we get some love back?!? That’s my opinion, you’ll either agree or not. It’s just a way to get suckers like us to build up hype for the book release date! I don’t believe that “she was delayed” in getting script to the publishers (or if she was…..how ‘delayed’ can you really get?!?) or that people were sooooooo unhappy about having to wait out the difference in release dates between the paperback & eReader version, that they pushed it back to make sure a,l versions were/are to be released on the same day. I don’t know bout anyone else, but myself being a reader of novels & eBooks, there generally in a few hours, maybe a few DAYS difference in releases if the versions – not 5 bloody months!!!!!!! !……like I said its just to build hype! That’s my opinion – you’ll either agree or not. Also, why – STILL – can’t they tell us whether or not this is going to be a trilogy…..or if there’s a 4th book to be released? That’s my opinion – you’ll either agree with me, or not. BREAKING NEWS: Mysterious Person Runs Pediatrician Over With Lawn Mower! After reading chapter 1, this snapshot makes sense..
Now that I have read chapter one, I get it. As much as I hate to bring her up..what about Corinne? I hope she is out of the picture! I think that having failed to get Eva to talk to her about Gideon, Deanna Johnson publishes an article to antagonize Eva. She obviously knows about Eva’s past with Brett. In the song Brett wrote about her, he says her name. Whether Deanna knows it’s about Eva, hsrself, making a claim that the song is about her would be a great way to stir the pot. And, what if, she has somehow learned that it was Gideon who beat up Brett in the parking lot. If she were to publish an article about that or threaten Eva with it, that would increase the cops’ suspicion of his involvement in Nathan’s death. It would show he has no qualms about inflicting bodily harm, and has done it with someone associated with Eva – two things that the cops would see are in common if Gideon was Nathan’s perpetrator. If Deanna were to hint at this knowledge to Eva, I think Eva would be forced to deal with Deanna more than she originally wanted.